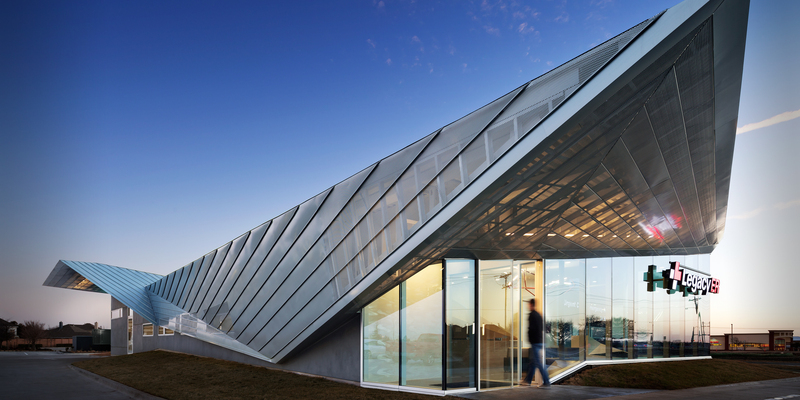 Located amongst suburban neighborhoods and generic chain stores in Allen, Texas, a community located about 30 miles north of Dallas, a building clad in metal and glass stands apart from its surroundings. 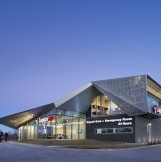 That building, Legacy ER, a freestanding emergency room and urgent care facility, is an example of the progressive architecture that is seeping into the medical community. Designed by 5G Studio Collaborative, Legacy ER is aiming to be everything that the typical medical facility is not. A freestanding emergency care center, the 8,500-square-foot clinic wants to take a modern approach. According to the founding partner, the updated design resonates with potential patients who are seeking a technologically-advanced option. They found that if the building is dingy and dull, the patient will question the doctors’ medical knowledge. 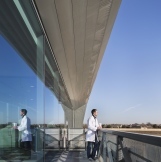 Legacy ER offers two primary services that made the building design critical to its success: serving as a less critical urgent care facility as well as an emergency medicine center. The design team was tasked to create a fusion that maintains the identity of both offerings, and also promotes a soothing and gentle environment. The team divided the space in half—one side dedicated to the emergency care and the other to the urgent care services. The building features two rooms for trauma, six for emergency exams and five for urgent care needs, in addition to spaces for radiology imaging, a laboratory and various support functions. With 11 beds the building can accommodate over 100 patients per day. The simplified design creates a subconscious calming effect, but it was vital to the owners that the space had ample natural light. Not only did they believe that having natural light makes jobs more enjoyable, it also helps the healing process. 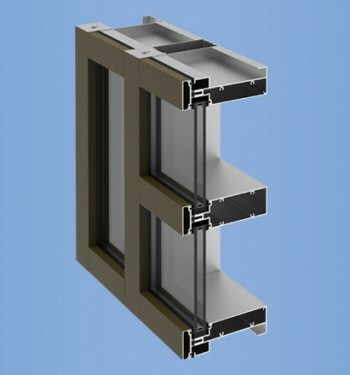 To achieve this the team used several products from YKK AP America. 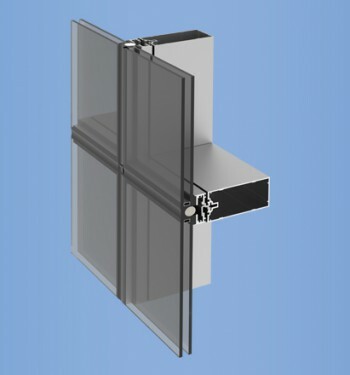 Two curtain wall products, the YCW 750 SSG and YCW 750 SplineTech, were installed to allow in natural light. 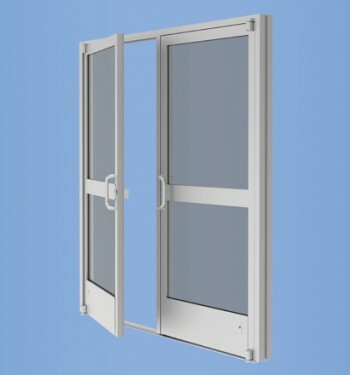 The project also included the 35D entrance door. The YKK AP products helped set the necessary ambiance to offer a new perspective to the union of the two clinic styles. YKK AP America engaged in an opportunity to lead in the health care market industry with its growing emphasis on sustainability and energy-efficiency. Legacy ER opened in February 2013 with positive reviews and high acclaim.